With a sleek contemporary look, the Envy provides the perfect foundation for a variety of home décor preferences. 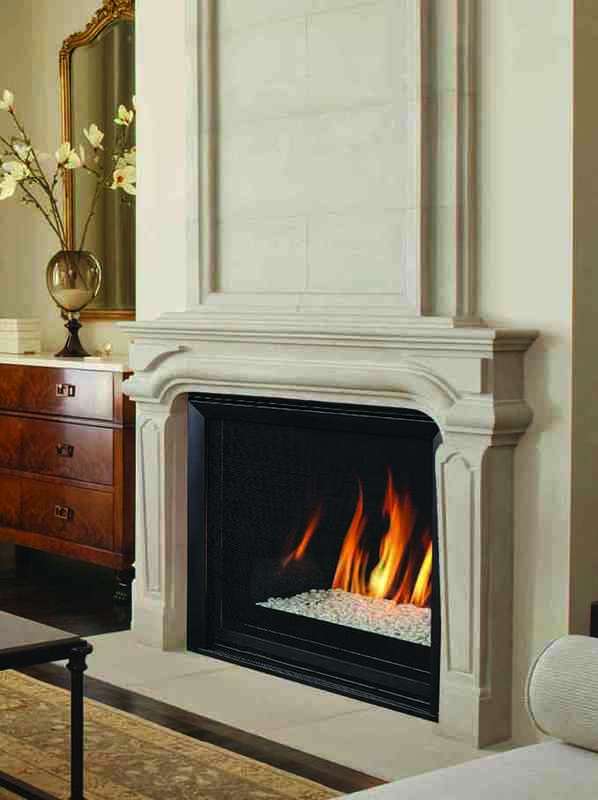 Envy™ direct-vent gas fireplaces are known for amazing versatility, and that solid reputation continues to grow. Available in sleek contemporary (pictured) and traditional versions for a realistic masonry look, the Envy provides the perfect foundation to suit a variety of home décor preferences. The stunning clean face design combines with exceptional performance to make the Envy a perfect fit. Both contemporary and traditional looks offer an expansive ceramic-glass opening and patent-pending Full Flame™ dual burner technology for exceptional glow and flame appearance. With a wide array of optional accessories to generate additional sales, the Envy provides many possibilities for making the living area warm and inviting. Customers start by selecting a configuration with various design options. Admirers of the the contemporary can select from five glass media options to suit their taste and complement home décor. • Full feature modulating remote controls all fireplace functions as well as a smart thermostat mode for optimum comfort and efficiency. • Standard fireplace lighting illuminates interior with 6 distinct settings. • Available in Traditional with log set or Contemporary with glass media configuration. • Realistic Hi-Definition logs molded from actual firewood deliver the look of a natural fire. • Ceramic-glass enclosure panel provides an exceptional view. • Exclusive Full Flame™ burner technology independently optimizes fuel mixture to generate superior glow and flame. • Ships with cleanface trim. • Hi performance modulating blower with noise canceling ducting for quietly delivering heat to the living space.